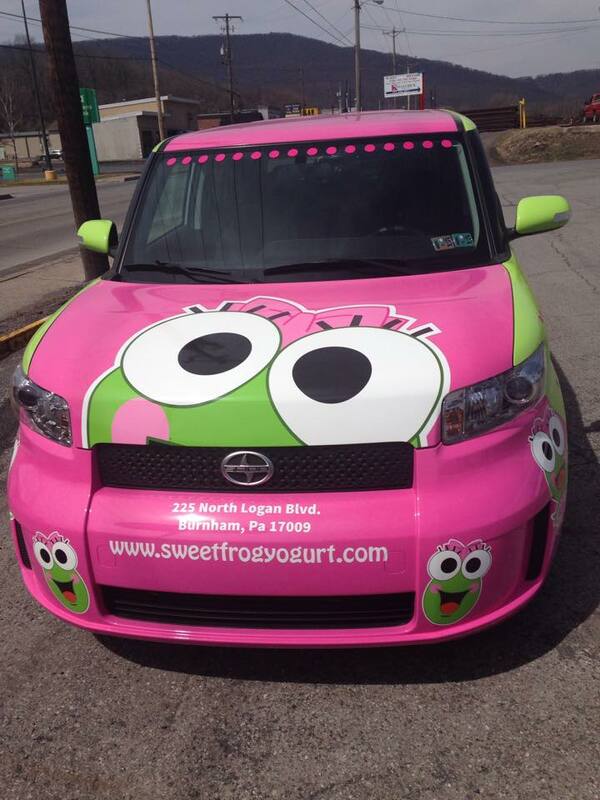 If you are ever in the Lewistown/Burnham, Pa area, stopping in at Sweet Frog is a MUST. 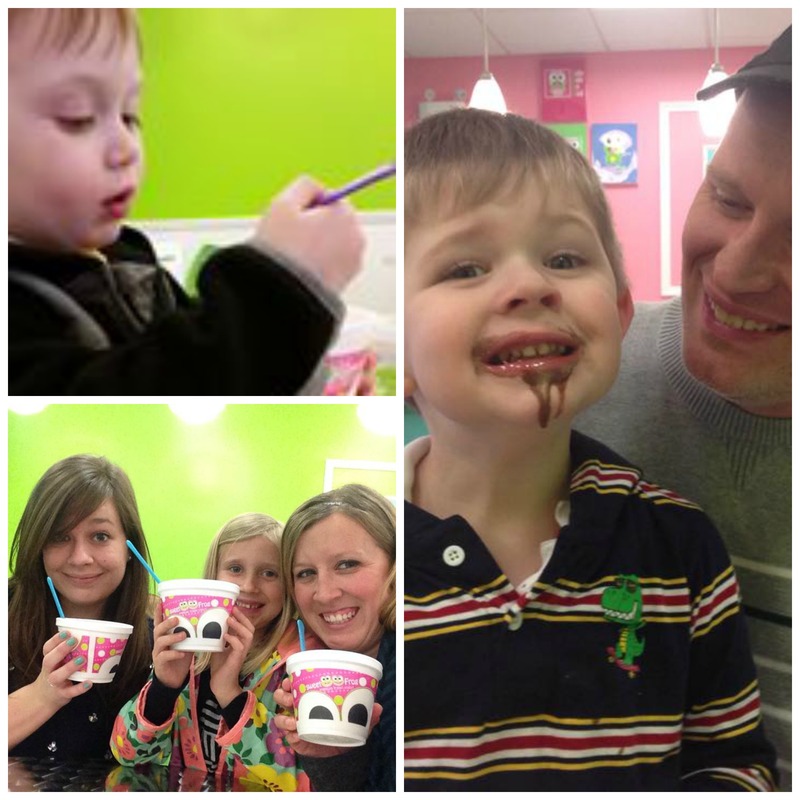 This Sweet Frog is family run and new to the area. 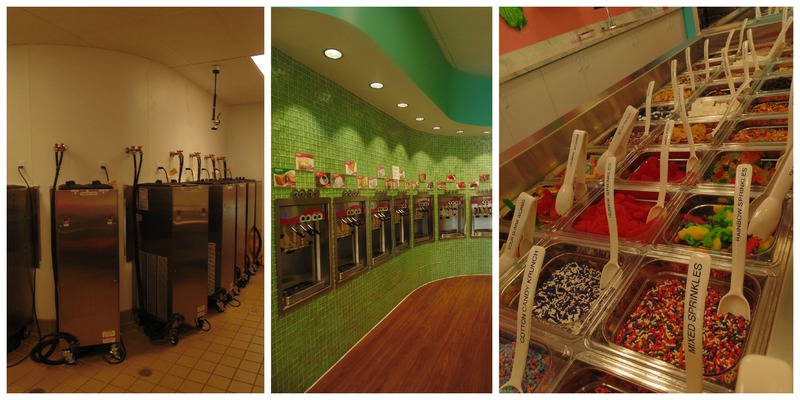 They offer over 14 different flavors of frozen yogurt, and 21 if you count the middle flavors, which are a twist! And if you think that is crazy, wait till you see the toppings! They have just about anything you could dream up in your head to top your frozen yogurt with.. and I mean ANYTHING! Here are just a few of the 70 toppings they offer- potato chips, gummies, pretzels, lunch cakes, M&M’s, sprinkles; if you are looking for healthier options they have strawberries, blueberries, bananas… I could go on and on and on. And of course no ice cream is complete with out hot fudge and whipped cream, which they also have. While doing restaurant reviews, which I am new to, there will be a few important details I will be looking for and they are as follows- customer service, taste, price, cleanliness, and atmosphere. This sweet frog gets an A+ in all mentioned. 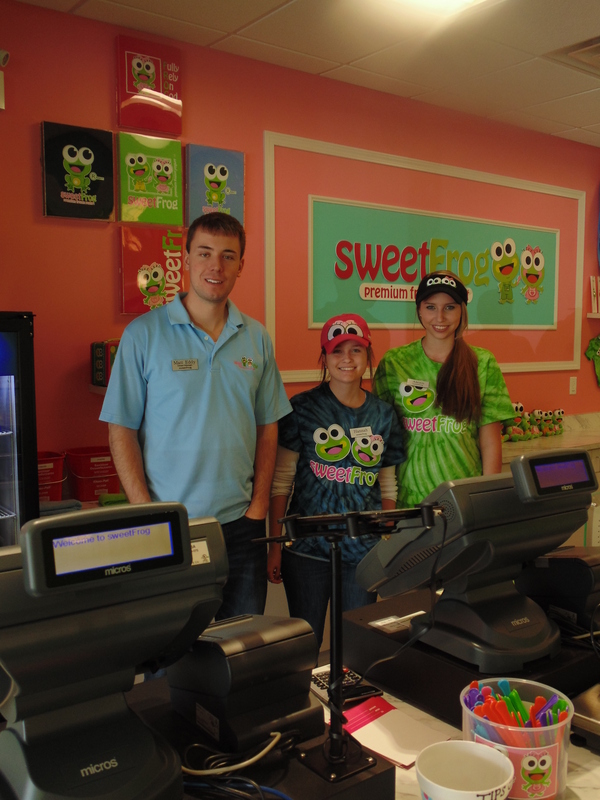 Matt (one of the owners @ Sweet Frog, Burnham, PA) was very friendly and easy to talk with. He seems to have a great connection with his customers. As for the taste, well… YUM! I actually get cravings for this place, but who doesn’t? Pricing is fair; you pay by the weight of your yogurt after all the toppings of course.. I think it was something like 42 cents per oz. I know I fill mine up pretty good and it is usually right between $3 and $4 dollars. Right before you check out, there is a station with hot fudge, caramel, strawberry sauce, peanut butter sauce, and more I can’t think of. One thing that I did not care for was that the whipped cream was not easy to find. It is in a can in the middle of the topping bar and I personally think it should be at the end with the sauce’s. Isn’t that the last thing you usually put on your ice cream, other than a cherry? 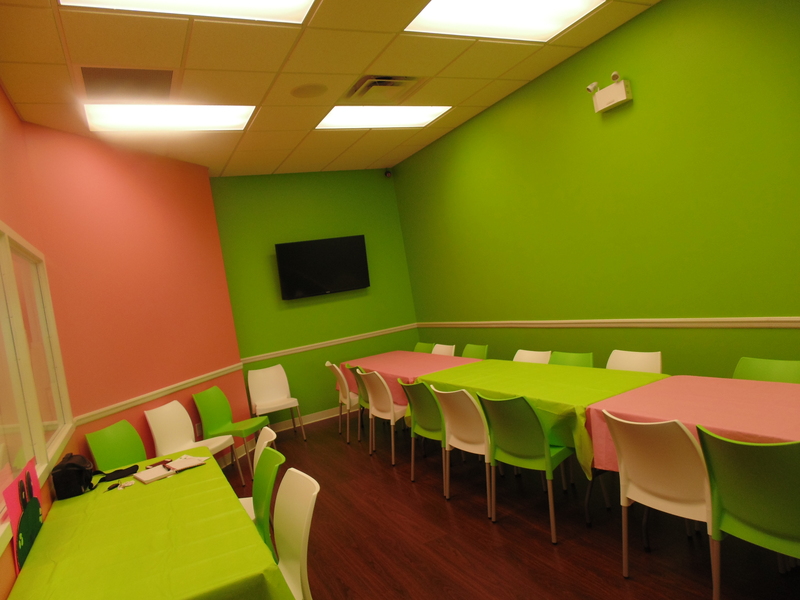 Sweet Frog Burnham Pa, also offers a pretty cute party room. This party room seats 25-27 people comfortably. And although it is called a party room, it does not necessarily have to be used as such. It can be used for life groups, bridal showers, book club meetings, business meetings, etc. When I was in a week before doing the review, I talked with Mark (Matt’s father/owner) and he told me that one night he saw some high school aged kids in the party room with laptops. He asked them what it was that they were doing, and they said studying, so he asked them if they would like for him to shut the door to the party room so they had some quiet and of course they agreed.. how cool is that? Party will last for 1 hr and 30 mins. See a new flavor and not sure whether or not you will like it? 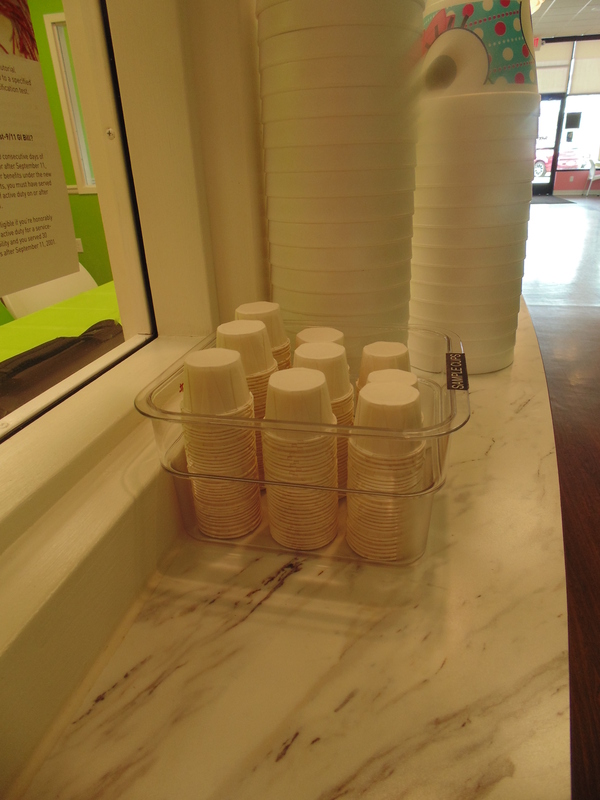 With so many great flavors, Sweet Frog understands the importance of making the right decision, so they have plenty of sample cups near by. 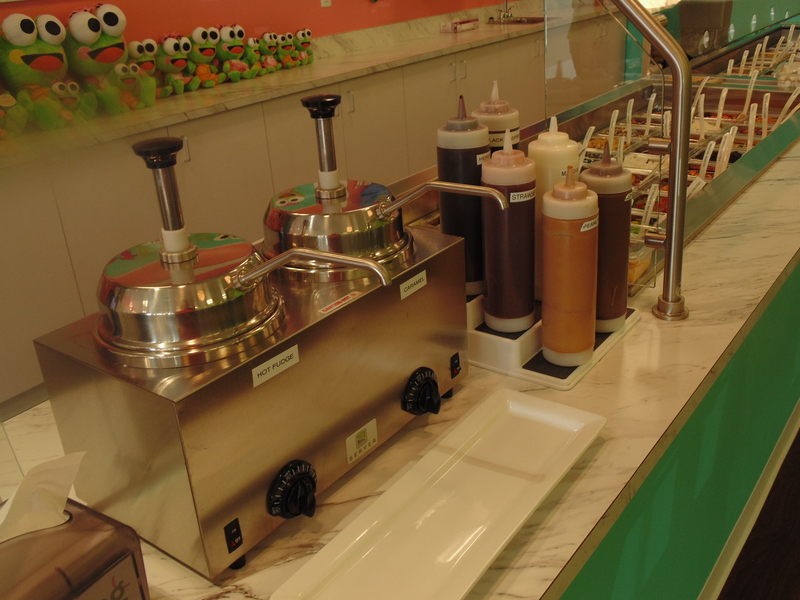 Sweet Frog has a frozen yogurt for everyone! Whether you have allergies, are gluten intolerant, or just simply want live a healthy lifestyle, you should have no problem finding a yogurt at Sweet Frog. Most the yogurts at Sweet Frog only have around 3% fat in them, unless of course, you go for the Gelato, which has a richer flavor, that has anywhere from 3-5% fat… still pretty good! 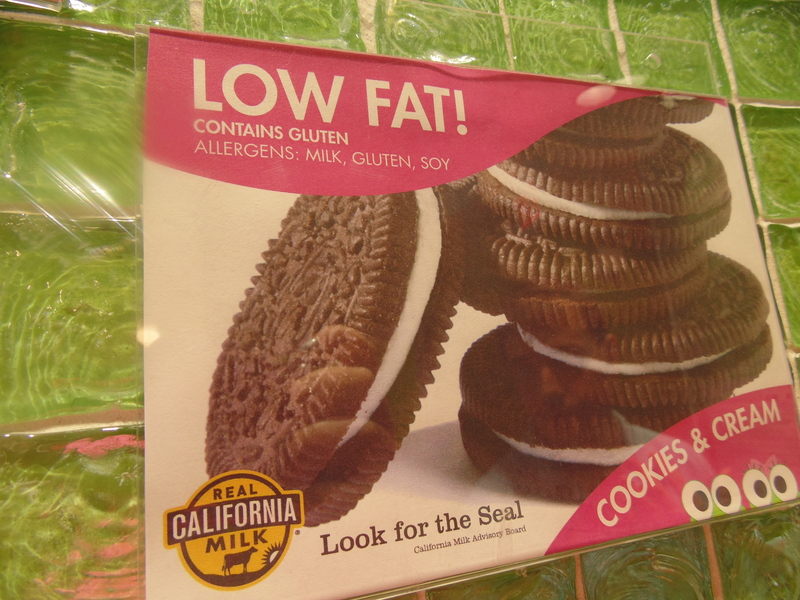 All yogurts have information labels on them that say if they contain gluten and also list there allergens. Every time I go to Sweet Frog it is filled with smiling faces. =) So stop in and tell them Burlap Kitchen sent ya!